@eLaw.com.hk contains information about technology laws and other Internet or computer related legal information. It is managed by Hong Kong lawyers and the contents mainly relate to Hong Kong laws. It covers areas about Hong Kong laws such as e-commerce laws, software licensing, domain name disputes, intellectual property rights, defamation, technology, source code escrow deposit, data protection and privacy, telecommunications and Internet liabilities. Thomas Tse (photo) is the main architect of @eLaw.com.hk assisted by colleagues, Raymond Tang, Pierre Sun. He is the author of the Chinese book on Hong Kong E-Law. Mr. Tse is a partner of Yip, Tse & Tang, which is a law firm very famous on practice of traffic accident claims, workplace injuries, bankruptcy, IVA and eLaws. The firm's Technology and Telecom Practice Department was established in 1998. @eLaw.com.hk contains vast amount of legal information. Although we endeavour to be sound and correct on every aspects, please do not rely anything in it as legal advice. You must formally consult a qualified solicitor (and it need not be us) on making legal decisions. @eLaw.com.hk is an efficient portal on eLaw. Its contents are regularly updated. The following passages are 2 most current contents. To read other parts, please click the categories links on the right margin of the page. Enjoy surfing on @eLaw.com.hk. Surfing @eLaw.com.hk is free and does not require registration or login. Therefore, you do not have to give us any of your personal information. You are free to come and go and no matter who you are, we are happy that @eLaw.com.hk can be of help to you. If you have any comments, please email us at info@elaw.com.hk. InternetSolicitor.com was set up by Yip, Tse & Tang, Solicitors and launched in 1999. It is constituted by partners and solicitors of Yip, Tse & Tang and aims achieving the mission. As early as 1997, the firm set up the award-winning Chinese law portal www.solicitor.com.hk. 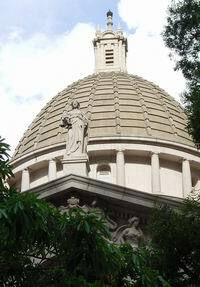 In 2004, the firm set up another law portal www.898.com.hk in order to provide multi-media law contents on the Internet. Both web-sites are FREE for access and use. @eLaw.com.hk is also one of it. InternetSolicitor.com was set up by Yip, Tse & Tang, Solicitors and launched in 1999. It is constituted by partners and solicitors of Yip, Tse & Tang, Solicitors. Its objective is to serve the public and its clients through the Internet as an open and freely accessible international infrastructure. Yip, Tse & Tang was selected by the ITS Department, HKSAR Government as a Reference Case on use of e-commerce on professional services. Yip, Tse & Tang was awarded the Caring Company Logo 2003/04 by the Hong Kong Council of Social Service in recognition of their effort in demonstrating good corporate citizenship and contributing to a caring community. Photo: Representatives of Yip, Tse & Tang, Thomas Tse (partner) and Pierre Sun (Solicitor) receive the Caring Company Certification at the public ceremony. Yip, Tse & Tang becomes a leading law firm on bankruptcy legal service. In about 30 months' time since its inception in August 2001, Yip, Tse & Tang has represented over 4,000 debtors in bankruptcy petitions. Bankruptcy applications will be heard in 3 to 4 months time. "Our lawyers are knowledgeable about the effects of bankruptcy order on bankrupts. A special web-site Broke.com.hk has been set up dedicated purely to bankruptcy subjects," said Thomas Tse, the creator of theBroke.com and partner of Yip, Tse & Tang heading the personal insolvency practice of the firm. TheBroke.com has been featured by over 10 local and international newspapers or magazines, including Reuters, BBC and Le Monde. Solicitors of the bankruptcy team were interviewed by TVB, ATV, Cable TV, RTHK, Commercial Radio and MetroRadio Broadcast on debt or bankruptcy subjects on many occasions. The financial storm in 1997 has resulted in the decline of the Hong Kong economy. Many people have become the victims of that. The HKSAR Government has failed to offer any help to them. Many are indebted to lenders millions of dollars. In view of the bad employment situation and the deteriorating economy, self-bankruptcy is perhaps the only viable option for them. Yip, Tse & Tang charges $4500 as their professional charges. Visit Broke.com.hk to know more details. The advent of the Internet as a popular platform on electronic business has brought about demand of the corporations on e-commerce law training. Since 1999, Mr. Thomas Tse has been providing training lessons to corporations' managers, IT personnel, SMe executives and legal professionals on laws relating to the Internet, e-commerce and technology. The organisers were Hong Kong Productivity Council, Trade Development Council, Open University of Hong Kong (LiPACE) and Hong Kong Economic Times. There have been over 100 hours of presentations since made. Corporate training content can be tailored made for different requirements. More information can be obtained by contacting by e-mail at ytt@ytt.com.hk .